Gorgeous January Birthstone White Gold Ring! Comes in sizes 5,6,7,8,9,10,11 &12. 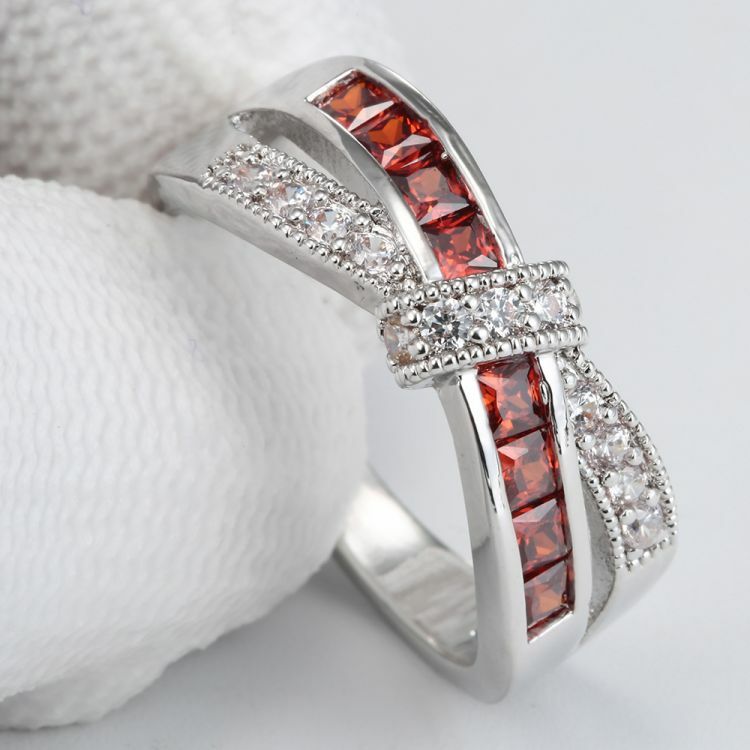 The white gold filled ring features an interlaying band of charming White and Red CZ stones. Buy one for yourself or for that special January baby in your life.